Nottingham digital marketing agency B2Blead.net announced a complete LinkedIn lead generation services for companies and professionals interested in attracting more prospective customers and business partners. B2Blead.net, a digital marketing agency based in Nottingham, updated its services to help local businesses in the UK and worldwide attract more potential customers by leveraging the power of LinkedIn. Offering everything from profile development to audience targeting and custom messaging, the agency allows local businesses to generate quality leads for their products and services and significantly improve their marketing ROI. While most companies still think of Facebook and Google as the main sources of potential leads for their services, LinkedIn can be one of the most effective platforms to generate high-quality leads. Since it is designed specifically for businesses and professionals, the platform allows users to tailor their marketing campaigns according to very specific target audiences, thus maximizing the chances of online success. 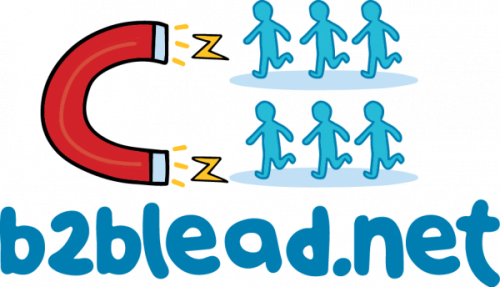 B2Blead.net specializes in high-efficiency lead generation campaigns on LinkedIn, helping local businesses improve their market reach and attract more prospective customers. The three-step process begins with a complete profile overhaul. Clients benefit from expert LinkedIn profile creation and optimization to accurately reflect each client’s brand profile. The services continue with building a target audience based on essential criteria such as ideal prospects, their positions, company size, location, industry and various others. Finally, the agency begins an extensive connection process by contacting between 75 and 100 ideal prospects everyday, resulting in at least 3-5 interested prospects per week. As well as being very effective, this strategy also requires no ad spending and no long-term commitments.